BPSC CDPO Main Written Competitive Exam 2018 - Apply Online for CDPO Main Written Competitive Exam 2018 in Bihar. Online Applications are invited by Bihar Public Service Commission from 22 Nov 2018 to 05 Dec 2018. 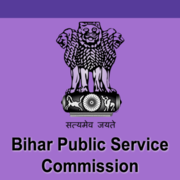 BPSC Bihar CDPO Mains Exam Date 2018: Bihar Public Service Commission has announced the exam dates for Bihar CDPO and Mains Exam which will be held from 19 Jan 2019 to 23 Jan 2019. Eligible candidates may apply online at BPSC's website (direct link is given below) from 22 Nov 2018 to 05 Dec 2018. Read the information carefully & Click on "Online Registration". After applying online applicants need to send the hard copy/print out of online application form along with all relevant documents to Joint - Co-Examination Controller, Bihar Public Service Commission, 15, Jawaharlal Nehru Marg (Belly Road), Patna - 800001. The application with all relevant documents should reach on or before 20 Dec 2018 till 05:00 PM.